Arguably one of the best players of this generation, a player that never won the World Footballer of the year award but he is one of the most loved players, by his fans or even rival club or country fans. Andres Iniesta, he gets a standing ovation at all stadiums, great personality, down to heart and a true professional. He has served the World of football diligently, maybe if he had played before the existence of Lionel Messi and Cristiano Ronaldo, he would have been deemed fit for the Ballon d'Or. 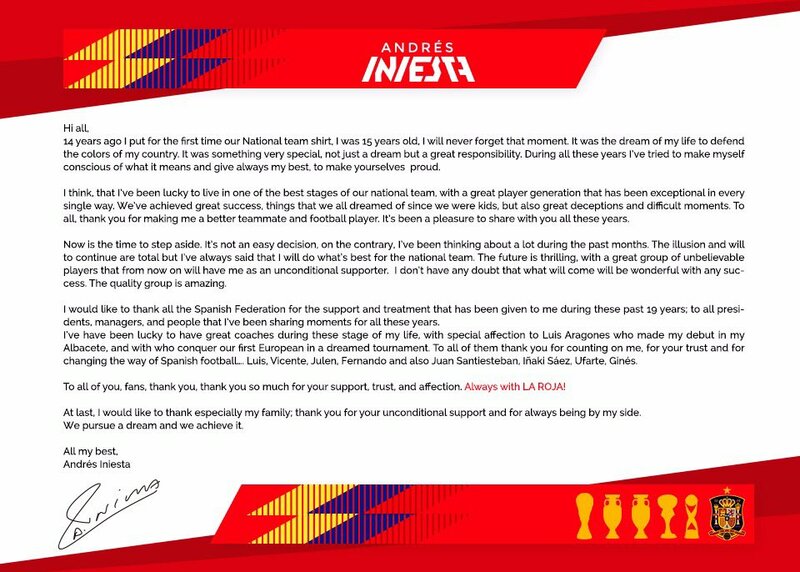 Sadly, he bows out of international football after facing elimination in the Round of 16 against Russia, Spain lost to the hosts after a penalty shootout. 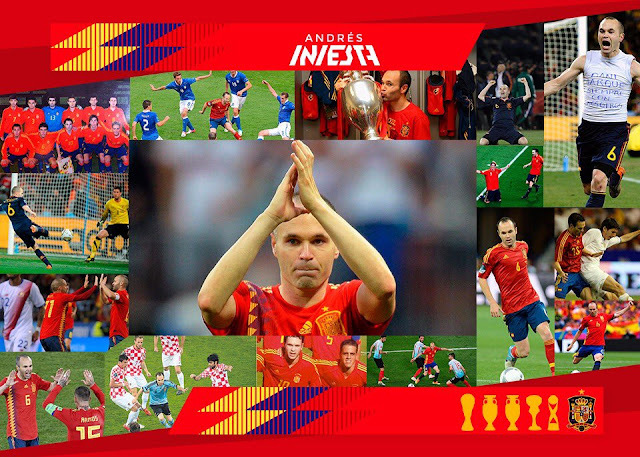 We will surely miss your charm Iniesta, maybe we will all start watching the Japanese League just to see you play.